After a rough weekend in which they committed plenty of self-inflicted mistakes against pennant contenders, the New York Mets and Baltimore Orioles will hope a brief interleague series against each other provides the cure -- or at least a temporary respite -- from what has been ailing them most of the season. The Mets and Orioles begin a two-game set Tuesday night, when the skidding teams meet at Citi Field. New York left-hander Jason Vargas (2-3, 8.53 ERA) is scheduled to oppose Baltimore right-hander Alex Cobb (1-7, 6.80 ERA). 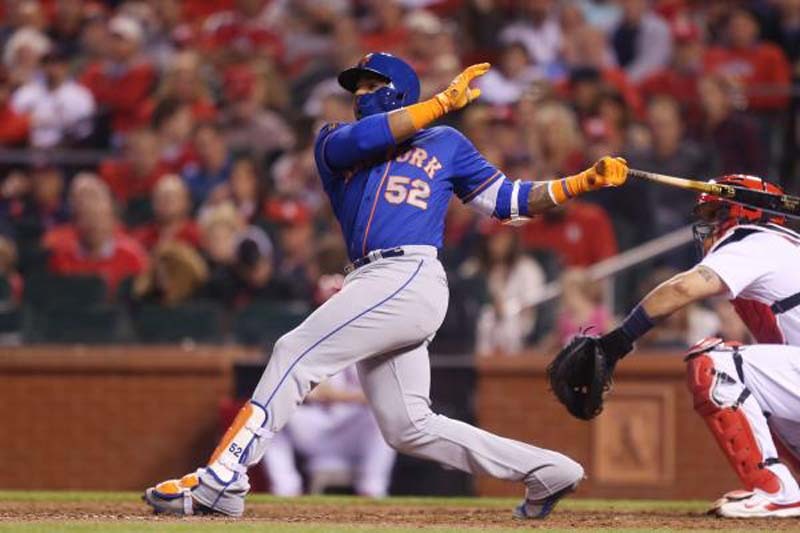 The Mets (27-30) were off Monday, a day after they absorbed the final loss in a four-game sweep at the hands of the Chicago Cubs by falling 2-0 at Citi Field. The Orioles (17-41) haven't played since Saturday, when their losing streak hit seven games with an 8-5 loss to the visiting New York Yankees. The scheduled series finale Sunday was rained out. The Orioles have the worst record in baseball, but the Mets have been playing at a Baltimore-like clip for the last seven weeks. New York opened the season 11-1 but is just 16-29 since April 14, which is the fourth-worst record in that span ahead of only the Orioles, the Chicago White Sox and the Miami Marlins. The sweep by the Cubs marked a new low for the Mets. Rookie manager Mickey Callaway held a team meeting emphasizing fundamentals following a 7-4 loss on Friday, but on Sunday, Chicago scored its runs when Javier Baez stole home on a casual pickoff throw to first by Steven Matz and on a sacrifice fly by Ben Zobrist in which Willson Contreras tagged up and scored on a pop fly to rookie second baseman Luis Guillorme, who was not called off 10-year veteran Jay Bruce in right field. "It's frustrating," Callaway said Sunday afternoon. "You're giving them the game instead of them winning the game from you, and that's always hard to accept. If you do things the right way and you get beat, you don't feel great about it, because you lost, but you can accept it and move on. We have to learn from those mistakes and make sure they don't happen again." The Orioles were actually even more self-destructive Saturday, when they committed three errors -- one by second baseman Jonathan Schoop and two by center fielder Adam Jones -- in three consecutive at-bats during the Yankees' two-run sixth inning. Schoop threw away a potential double-play ball to allow Gary Sanchez to reach second while Jones was charged with errors on RBI singles by Didi Gregorius and Aaron Hicks. "I was telling (pitcher Andrew) Cashner on the bench -- individually, we've got a really good team, collectively, we haven't played well together," Jones told reporters afterward. "Balls put in play, we usually make the outs. Playing for 27 outs was a main part of our team. Right now, it seems like we're playing 30-33 outs sometimes, and in the major leagues, you can't allow that." Vargas earned the win in his most recent start last Wednesday, when he tossed five scoreless innings on three days rest as the Mets beat the Atlanta Braves, 4-1. Cobb, who was scheduled to start Sunday's game against the Yankees, hasn't pitched since May 28, when he gave up three runs over seven innings as the Orioles fell to the Washington Nationals, 6-0. Vargas is 2-4 with a 2.23 ERA in nine career starts against the Orioles. Cobb lost his only start against the Mets on June 12, 2012, when he allowed six runs (five earned) over 6 2/3 innings as the Tampa Bay Rays fell, 11-2.